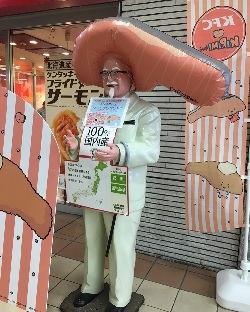 Photograph of a KFC restaurant in Japan promoting KIRIMI-chan. Copyrighted, used for illustration only. current 15:21, 10 November 2016 250 × 312 (45 KB) Torchickens (talk | contribs) Photograph of a KFC restaurant in Japan promoting KIRIMI-chan. Copyrighted, used for illustration only. This page was last edited on 14 November 2016, at 12:11.